Being the modest and self-deprecating people that we are, Brisbanites tend to have something of an inferiority complex when it comes to rating our fair city's eateries. 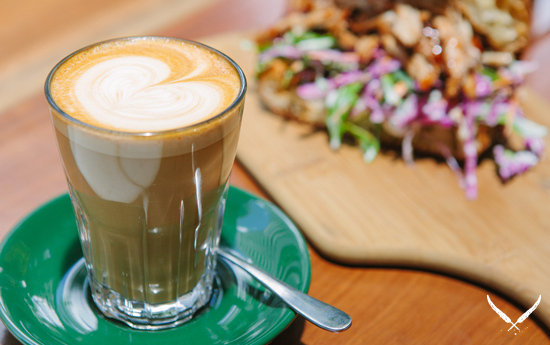 All too often, the biggest compliment you'll hear us utter upon walking into a new coffee shop is, 'Wow, I feel just like I'm in Melbourne!' Don't get us wrong, we love Australia's self-proclaimed Second City as much as the next quiff-sporting hipster, but it's high time we had a little more pride in our country town's home grown offerings. 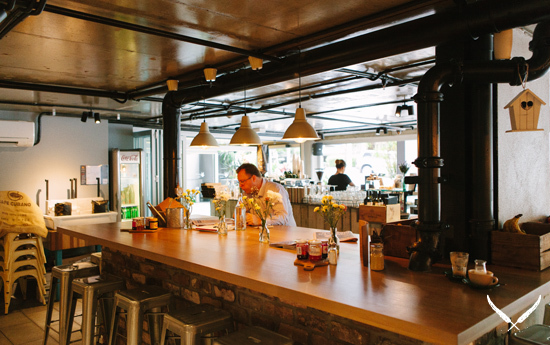 Enter Jak + Hill: a brand new cafe and bar that began life when Jason and Alisha Kelleher were invited by chic apartment hotel, The Punthill to relocate from Melbourne and transform their ground floor cafe into a rockin' coffee haven. 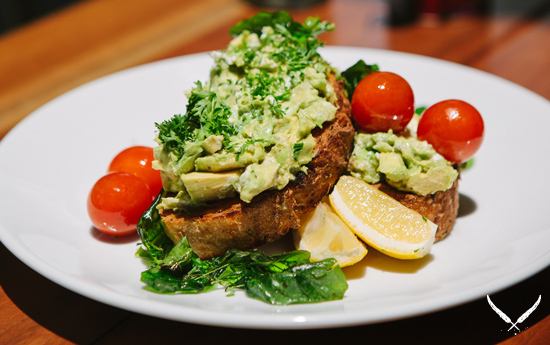 That's right, the pair chose Spring Hill and its ever-expanding dining scene (we're already loving Scout Cafe and Spring Hill Deli Cafe) over Melbourne and the airy space has become a favourite since opening at the end of last year. It helps that the Kellehers are Queenslanders themselves and know just how to please local taste buds. Jak + Hill's menu spans breakfast staples (the avo on toast we sampled came with the welcome addition of cherry tomatoes and delicately crumbled feta), hearty-but-simple lunch fair including pulled pork sandwiches and a 'Daily Tart', as well as delicious culinary brags like Eton Mess with Persian candy floss. The zingy Arabica bean coffee comes courtesy of celebrated roasters, Allpress, and for those days when too much caffeine just isn't enough, you can pay 50 cents extra to enjoy your brew in a supersize mug. The Astor Terrace hideaway also stays open til late with a bar that boasts a modest but well selected wine menu, alongside a range of spirits and several types of cider. We're already planning a second trip to sample the Dirty Granny Apple Cider. 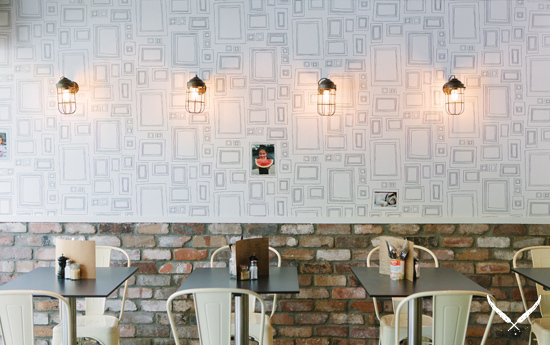 With its atmospheric hanging lights and sleek wooden benches, Jak + Hill mirrors The Punthill's classy interior without cramping any relaxed weekend vibes, making it the perfect place for after work eats as well as lunch on the go. Melbourne, schmelbourne.